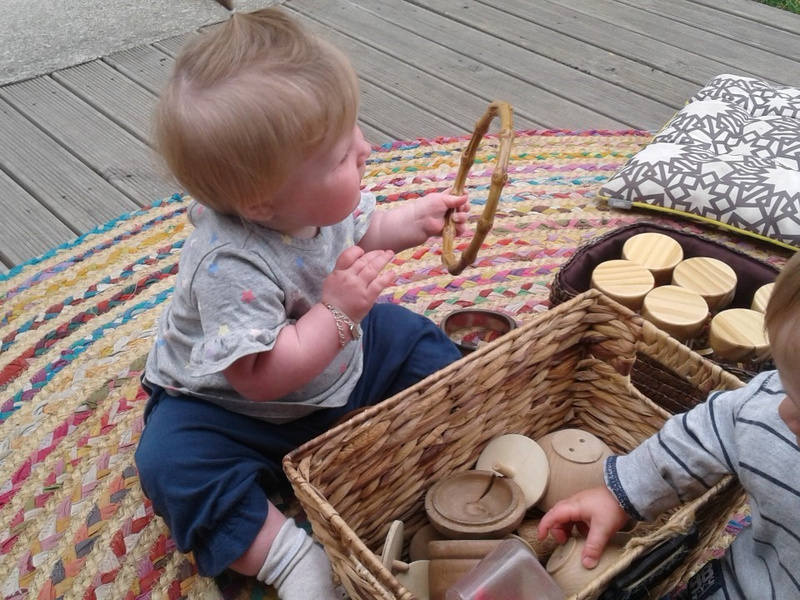 Heuristic play or discovery play refers to the way children personally select and handle objects in order to construct their own understanding. Through heuristic play, children are satisfying their natural need to explore. 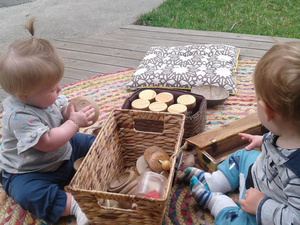 It gives children the opportunity to decide for themselves what they want to play with. By looking, touching, sucking, licking, banging, picking up and dropping, children begin to collect information that will later lead to identification and naming of objects. Infants and toddlers have a natural curiosity for exploring objects which interest them. Young children enjoy ‘finding out’ about objects, what can be done with them, and how they can be manipulated. 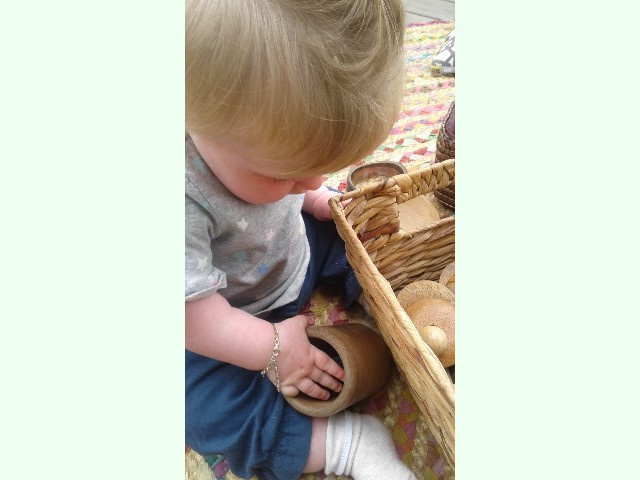 Once a discovery is made, such as one object fits into another or an object makes an interesting sound, a child will often repeat the action several times, encouraging concentration, cognitive skills (helping the brain to make connections and develop) and hand eye-co-ordination. The children are making discoveries about their world through exploring using their senses, asking themselves questions, offering answers to adult’s questions. The participation in active inquiry develops children's confidence in offering ideas and in understanding. 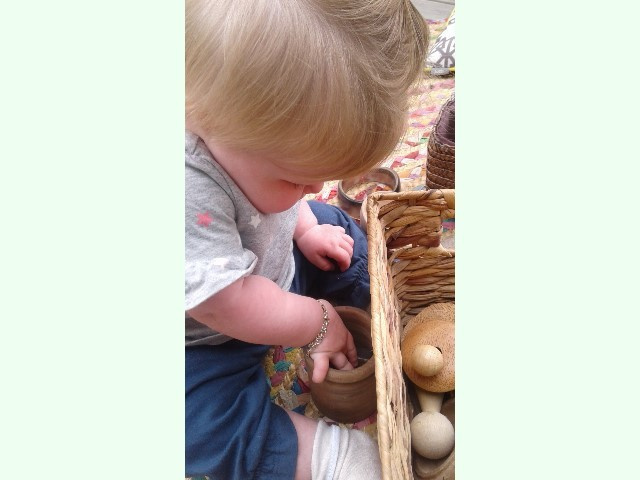 Children make discoveries through touch. 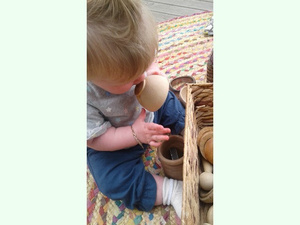 They develop the knowledge that trying things out, exploring using hands and mouth, exploration and curiosity are important and valued ways of learning. Children develop the confidence to choose and experiment with materials. Sound is a huge part of making discoveries in our world. By listening, children are able to identify what’s important and new in their world. A shell offers sound that is new and one that is both calming and natural. 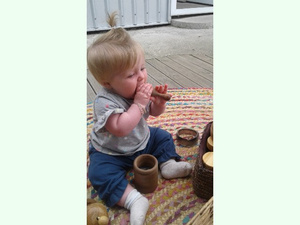 Children develop the ability to research, test, explore and modify their own working theories about the natural world. Children develop the confidence in looking for patterns, classifying things for a purpose, thinking logically and making comparisons, explaining to others, having their shared thoughts and ideas listened too. 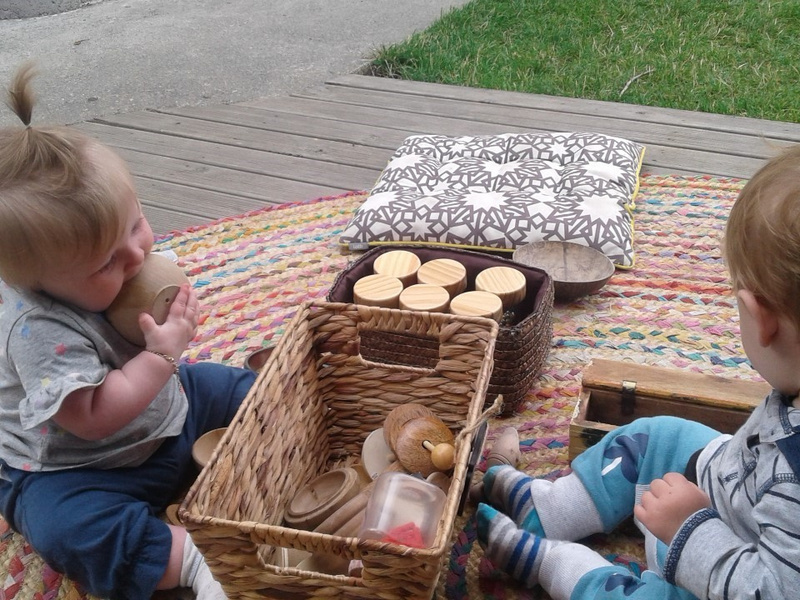 Children develop and use mathematical concepts when they collect, organize, compare and interpret different objects and materials.